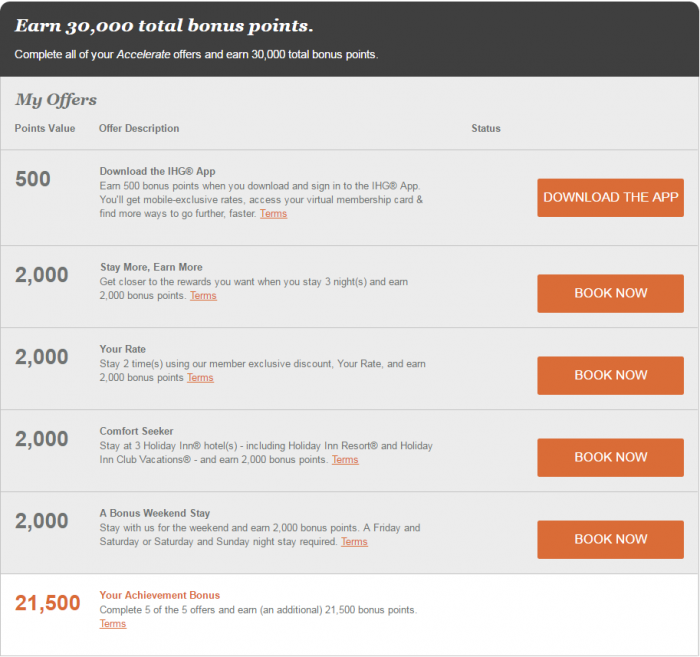 IHG Rewards Club has just unveiled their promotion called Accelerate (again!) that is valid for stays between January 1 – April 15, 2017, and requires registration. Members will receive personalized offers with a minimum of 30,000 bonus for completing them and these are based on recent stay history with IHG hotels. Remember to post your personalized offers below with rough idea of your stay history! These goals are not actually difficult for me. Last Ambassador year I stayed at close to 30 different InterContinental hotels and the number of nights is inline what I have stayed at this year with IHG (106 so far and still some coming up). 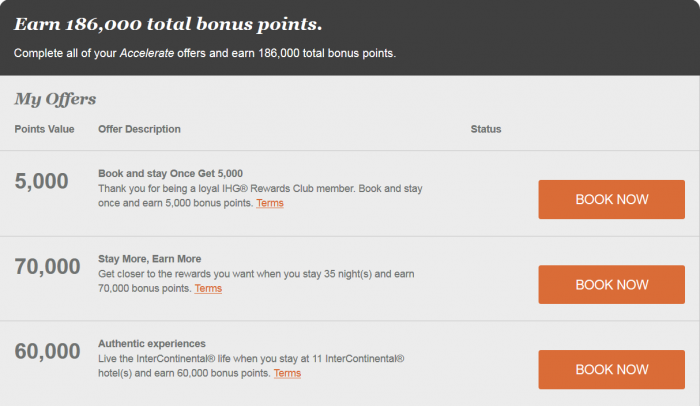 This latest promo means basically on average 6,000 bonus points per night during the promotional period for me which is actually very good. What is your personalized offers? Please post it before (add screenshot) with rough idea of your stay history this year so that we can compare them. Previous articleReader Question: Qatar Airways Flight Cancellation, Reroute & AAdvantage Credit?